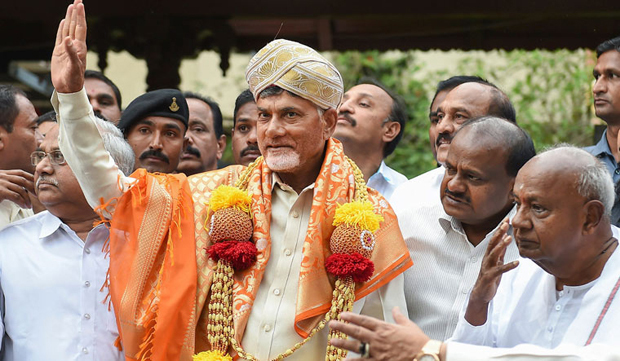 Bengaluru, Nov 9: Days after he met heads of many opposition parties, including Rahul Gandhi, Andhra Pradesh Chief Minister N. Chandrababu Naidu Thursday met Prime Minister H.D. Deve Gowda and his Karnataka counterpart H.D. Kumaraswamy and said it was necessary for all opposition parties to join hands to save the country and institutions from destruction.